Level 1, 51 The Esplanade, Cairns, Queensland, 4870, Australia. CAIRNS, AUSTRALIA...The Perfect Home Port, We Have Everything You Need and More! 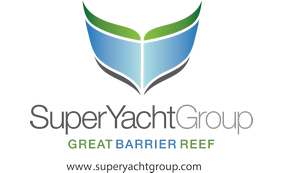 The Super Yacht Group Great Barrier Reef is the perfect home port for super yachts in the Asia Pacific region. We are only a short stepping stone to locations such as Thailand, PNG, Hong Kong, Singapore, Indonesia, Whitsundays, Sydney, Tahiti, Fiji, The Great Barrier Reef and we have everything you need and more! Cairns has a membership base of world class local businesses that offer comprehensive services and products required by superyachts, understanding the need for quality, value for money, discretion and timely execution. Cairns has every essential service closely located: International airport (5mins), world class Lloyds accredited shipyards (5mins), International Marine College, unique cruising grounds - world heritage listed Great Barrier Reef, The Wet Tropics and Daintree Rainforest, and top-rating marinas. And for the crew... a huge lagoon swimming pool near the marina, running paths, markets, and many cosmopilitan bars and restaurants. Come and see the perfect home port for yourself!